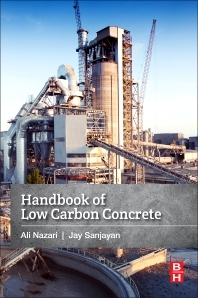 Handbook of Low Carbon Concrete brings together the latest breakthroughs in the design, production, and application of low carbon concrete. In this handbook, the editors and contributors have paid extra attention to the emissions generated by coarse aggregates, emissions due to fine aggregates, and emissions due to cement, fly ash, GGBFS, and admixtures. In addition, the book provides expert coverage on emissions due to concrete batching, transport and placement, and emissions generated by typical commercially produced concretes.